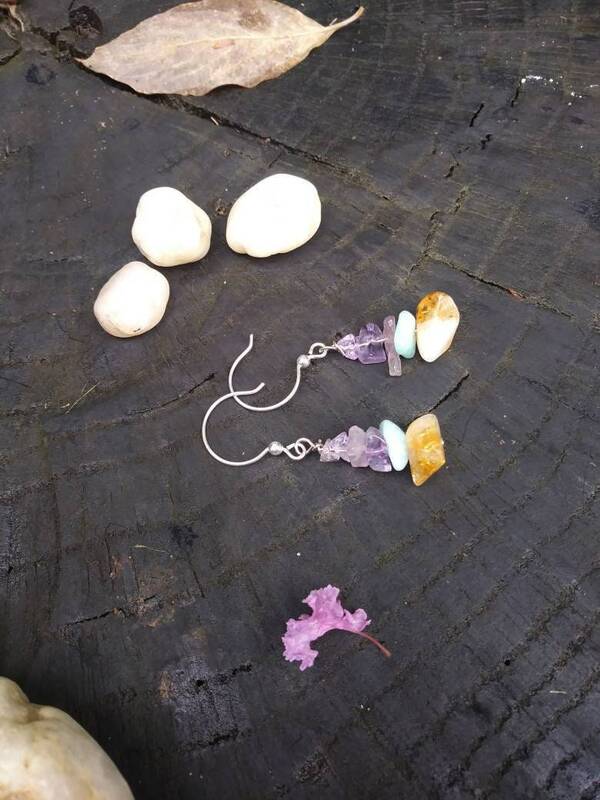 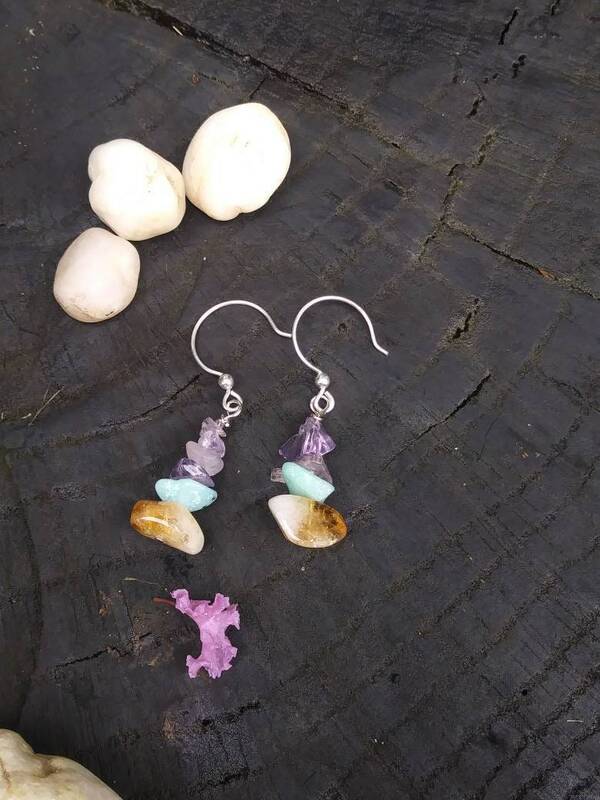 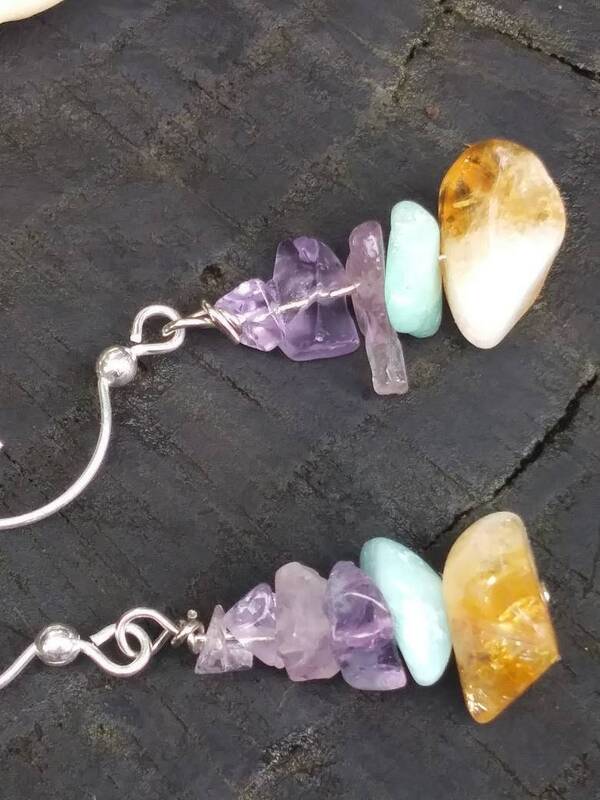 Simple silver and semi-raw stone earrings. 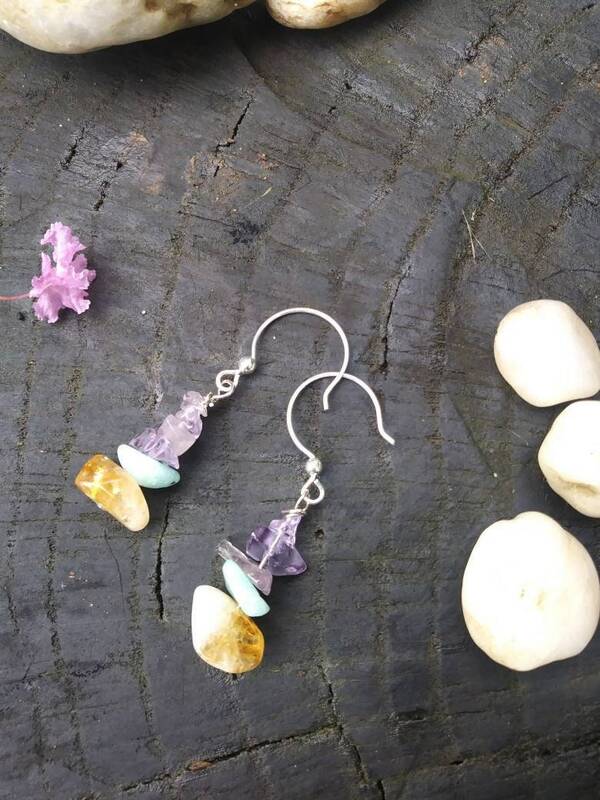 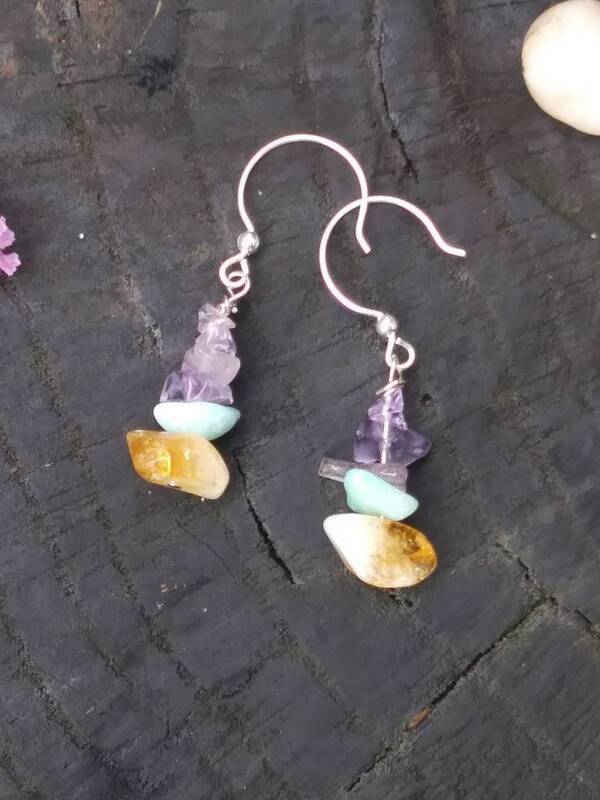 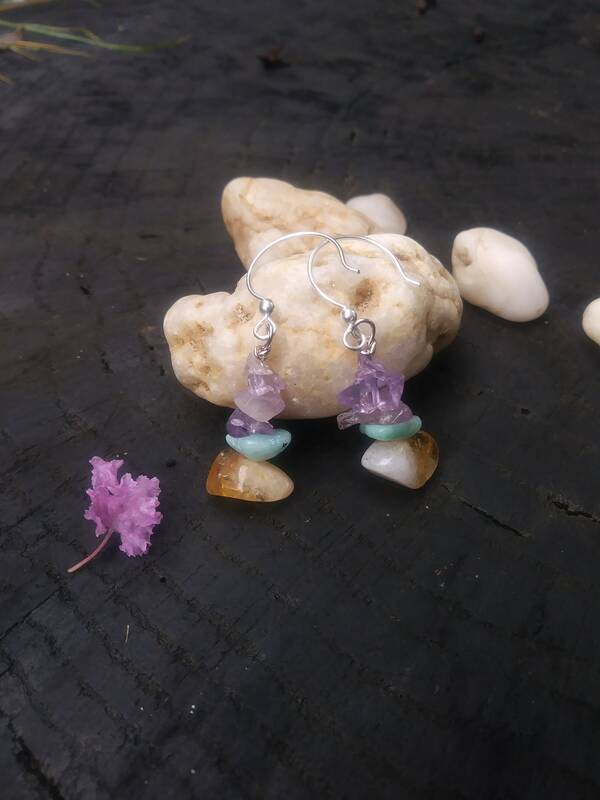 Raw amethyst chip stones stacked with amazonite and citrine stones in their natural glory. 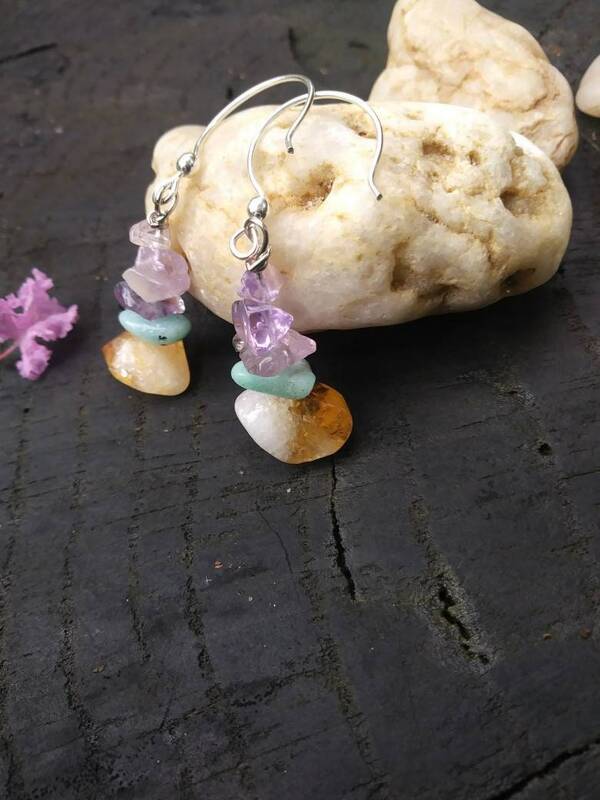 French hoops are sterling silver.